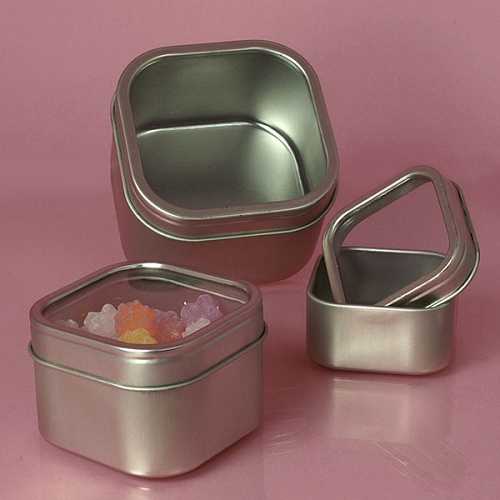 Windowed Square Tins | Gift Containers | Candy Concepts inc. 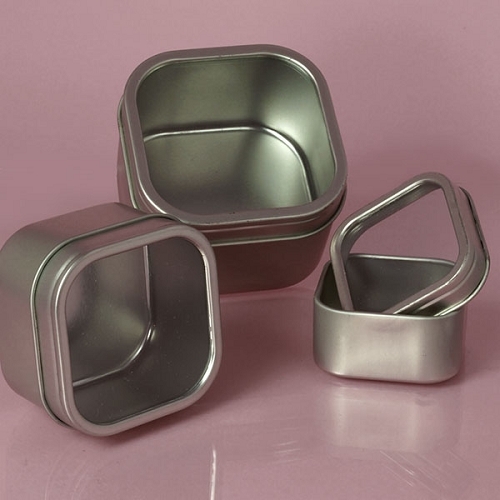 These 8 ounce Windowed Square Tins are a wonderful gift idea. 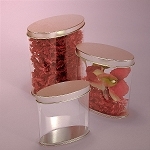 Made from 100% steel, these containers are durable and eye-catching. Use at the check out for impulse sales. 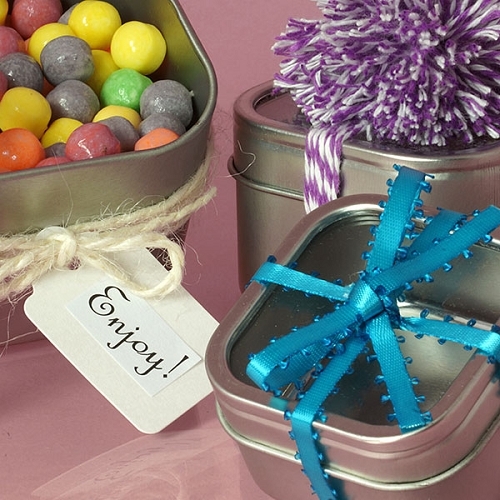 Fill with candy, small hardware, and other small items. 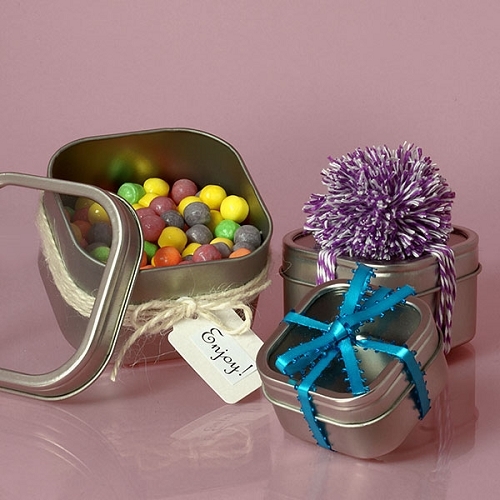 You customers won't be able to resist the attractive shine of these small tins. 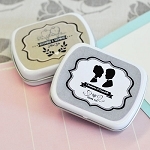 Use at your reception as candy filled gifts for your guests. Clear tops allow for a sneak peek inside while rounded edges add safety. 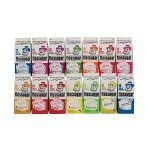 Purchase your set of 24 today!